The ladies team from North Island Lanes placed fourth overall in the 27th annual Vancouver Island 5-pin Bowling Championship. Thanks in part to posting the high score in their sixth and final game, the ladies team from North Island Lanes placed fourth overall in the 27th annual Vancouver Island 5-pin Bowling Championship, held Mar. 22-23 at Brechin Lanes in Nanaimo. The squad, made up of Carla Reusch, Kathy Turgeon, Sonya Gullacher and Rejeanne Larue, finished with a six-game total of 4,666 pins. That included an 852 total that led all houses in the final round. “We all bowled well over our averages, which was nice to do,” said Reusch. Duncan Lanes romped to a lopsided win in the men’s team competition, but Sunset Lanes of Parksville turned the tables in the mixed event to take the top spot. Duncan Lanes, thanks to its overwhelming win in men’s play, claimed the aggregate trophy as the top bowling house on Vancouver Island for the year. Reusch, who qualified to represent the Island Zone team in the B.C. championships last weekend at Brechin Lanes, led the way for the North Island Lanes ladies with a 214 per-game average that included the tourney’s second-highest score, a 297 topped only by the 370 of Brechin’s Deb Cowie. The ladies team traveled with only four players, including newcomer Rejeanne Larue, so had no alternate available. Each of the four had to bowl every game in singles, ladies team and mixed team competition. The men’s squad struggled to a last-place finish with five bowlers, including Danny Turgeon, Mike Coburn, Richard Mose, Ken Hutton and Nils Nelson. The men had their best showing in the second game with a 900-pin total, led by Coburn’s 269 score. Mose later rolled a team-best 275 in the fifth game. Reusch again led the way in the mixed team competition, posting highs of 251 for a single game and an average of 217. Kathy Turgeon posted a single game of 245 as North Island Lanes got off to a solid start in the opening game, and Danny Turgeon finished with a 196-pin average to lead the men. Reusch rolled an average of 211 through 10 games to place 18th overall in the women’s singles event at last week’s B.C. Provincial Open Championships at Brechin Lanes. Her series included a high game of 261. 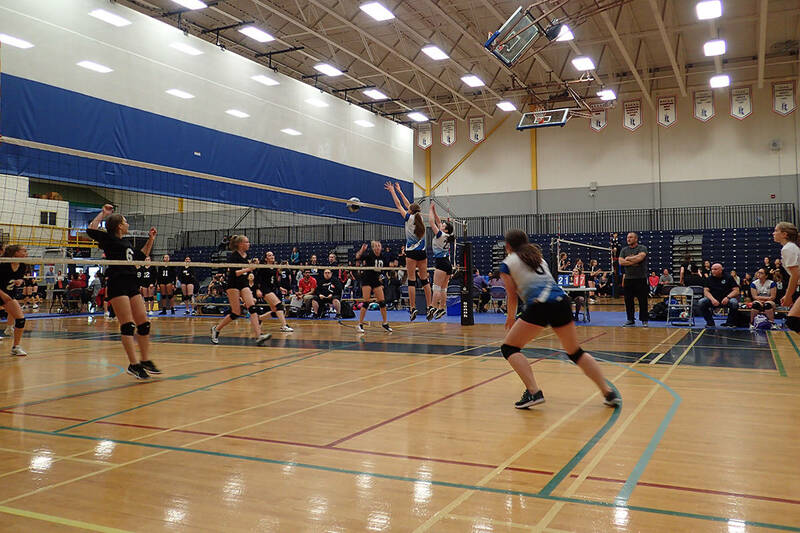 Her Vancouver Island Zone ladies team finished fourth in the national-qualifying tournament. The squad started strong, earning high points in the first game and tying for the top spot in the second game before being slumping.